We’re in love. 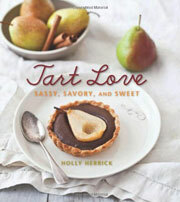 Sweet pastry love, to be exact. 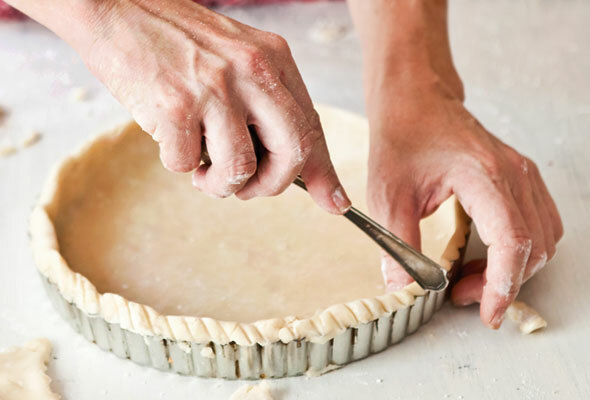 See, this easy-to-handle sweet pastry dough turns into crust that’s both sturdy and flaky—admirable and often mutually exclusive traits in pastry. And it’s worded safely enough for pastry dough virgins—those so chaste that their fingertips have never known what it is to meld butter, flour, and salt into a crumbly goodness. It’s foolproof, equally suited for tarts and pies, and is so lovely we’d even suggest you make it for such an epic food event as Thanksgiving, say as the foundation for the equally foolproof Drunken Pumpkin Bourbon Tart. We know, we’re gushing. But that’s love. You sort of have to experience it to understand. What are you waiting for? 1. 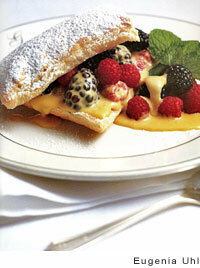 Combine the dry ingredients by pulsing 10 to 12 times in a food processor or blending it with a pastry blender. The next and very important step is incorporating the butter. Do this with love. Think of this step as “wrapping” the butter with tiny packages of flour that will help the pastry rise as it bakes. The butter needs to be quickly blended in until it resembles the size of very coarse sand or sea salt. In a processor, this should take between 40 and 50 quick, successive pulses. With a pastry blender, it takes about the same number of times cutting the butter into the flour. Use your eyes and don’t be afraid to look, just don’t touch, at least not excessively, as hot hands are pastry’s worst enemy. 3. Turn the pastry dough out onto a lightly floured surface and very quickly divide it in half. Shape each portion into a thick round disk with your hands, scooping up any stray bits and working them into the disks. It should feel and look a little like Play-Doh, or, as I once thought to myself, a very firm little baby’s bottom. Look for bits of butter peeking through the pastry—this is a good thing. Wrap the dough in plastic wrap and refrigerate for at least 30 minutes or wrap super duper well in plastic and then place in a resealable plastic bag and freeze for up to a month. Roll out and bake according to your tart recipe. Sweet Pastry Dough Recipe © 2011 Holly Herrick. Photo © 2011 Hélène Dujardin. All rights reserved. All recipes and photos used with permission of the publisher. This is a quick go-to recipe for making pastry dough. I used 3 tablespoons water and just a pinch of salt as I prefer a sweeter dough for pastries and pies. The dough formed quickly in the food processor although I would think this would be almost as quick if you had to make this by hand. After being in the fridge for 45 minutes, the dough rolled out nicely, yielding a little more than was needed for the 9-inch tart I was making. I balled the leftovers and refrigerated them for a couple of tarts later on. The resulting pastry was buttery and flaky. I will certainly use this recipe again. Let me start by saying that baking is not my strength so I was really worried about making the sweet pastry crust. But the explanations were very helpful and I was actually able to make it to perfection. I have had used this several times now and it is wonderful. I am making an apple pie today with this crust and have made pumpkin pies with it over the holidays. It is so good. Thank you for sharing!! You are most welcome, Carrie!